Dave and Karin Thomas moved to Brown County from Texas after he retired in 2012 from his job as a helicopter mechanic. 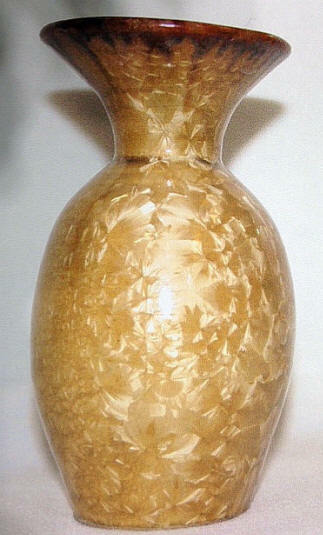 He wanted to pursue his interest in various areas of the clay arts that he had been enjoying as a hobby for 13 years. 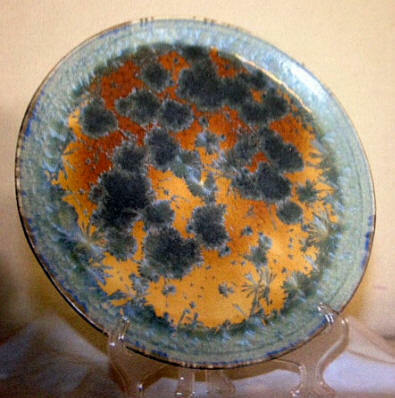 Dave is mostly a self-taught artist who learned to throw pottery from Jim Sanders (Marshall, Texas). Dave started learning about pottery in 1999 and has enjoyed it ever since. Dave and Karin have a daughter in Indianapolis and a son in Virginia and they wanted to move to Nashville to be closer to the kids. 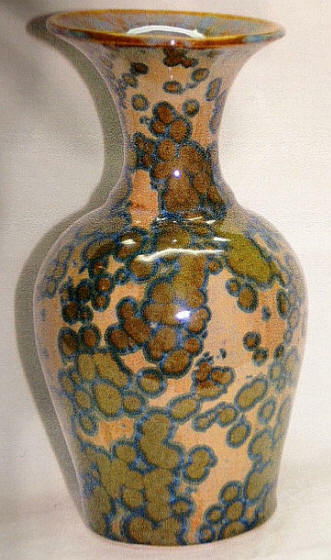 Crystalline glazes have been his area of interest since 2010. I have fun with crystalline glazes and I think you will enjoy the resulting work as well. I am fascinated with their beauty and variety.